Wishing you a beautiful Tuesday! I am sharing a new, super simple recipe I recently tried! 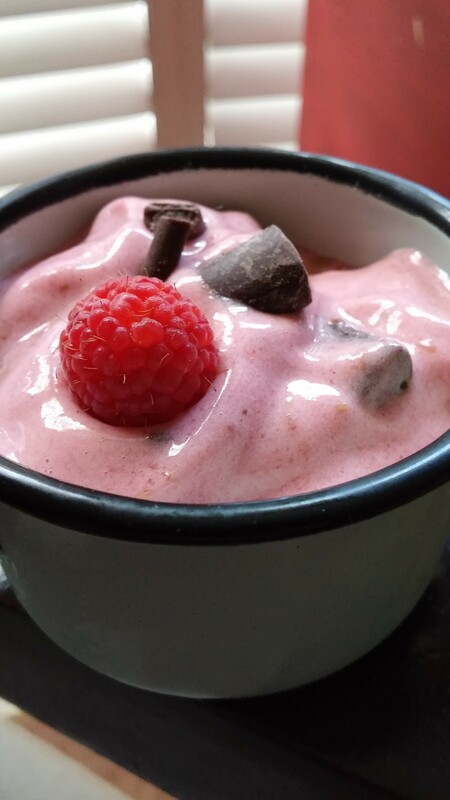 It is another healthier sweet treat! I hope you will give it a try to come up with some new creations of your own, using this same idea! I served this delicious treat in adorable enamelware dessert pots I purchased from Jenny Steffens Hobick/Everyday Occasions. She has a blog and an online store! I LOVE these little enamelware pots! 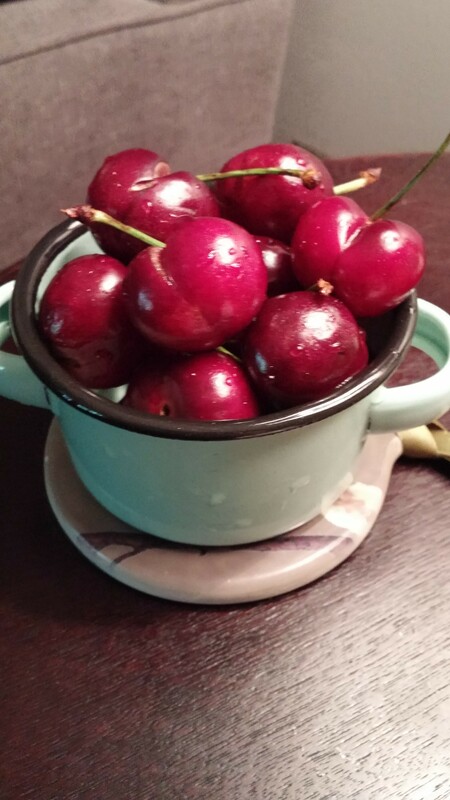 One of the things I love to serve in them is cherries! 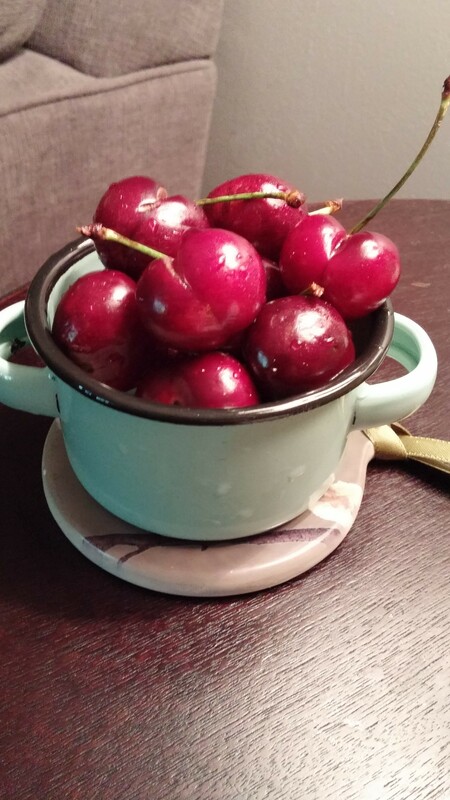 They look so pretty with the colors of the pot and the deep red of the cherries. See what you think in my picture below! Leave me a comment too! 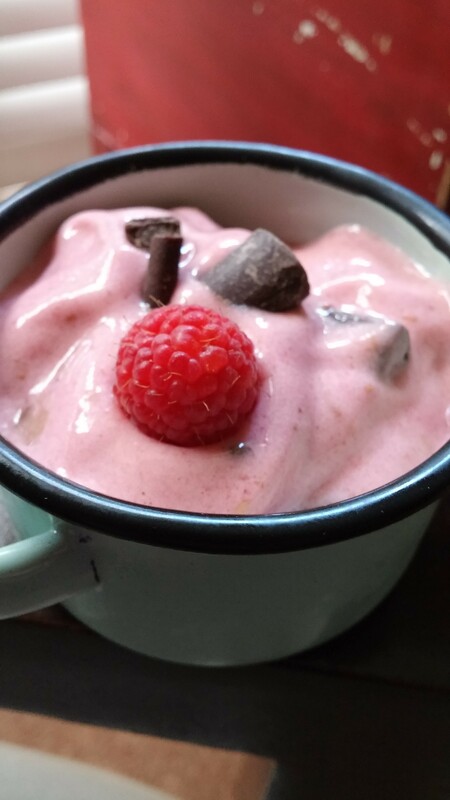 Combine the frozen bananas and MOST (save some for topping before serving) raspberries, blend in a high-powered blender until smooth. Stir in the chocolate chunks. For a creamy, smoother consistency serve immediately. For more of an ice cream consistency, place in the freezer for about 30 minutes. So Refreshing! ENJOY!